Abstract: Data governance is the secret to delivering the trust and compliance every data citizen needs to help drive their business forward. But for too many organizations, data governance still means control. And lots of it. Isn't it time to think differently about data governance? During this session, Collibra will share why industry leaders are changing their approach to data governance. They'll also highlight the three governance capabilities every organization needs to empower all data citizens to find, understand, and trust their data. Bio: Mr. Stijn Christiaens, also known as Stan, co-founded Collibra NV in May 2008 and has been its Chief Technology Officer since September 2015. 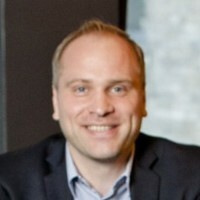 Mr. Christiaens is responsible for product management and UX; Collibra Center of Excellence; Collibra University and Collibra NV’s online learning platform. He served as the Chief Operating Officer at Collibra NV from 2008 to 2015. Mr. Christiaens has been a R&D engineer in the supply-chain and warehouse management industry and a researcher at the Semantics Technology and Applications Research Laboratory (STARLab) at the Vrije Universiteit Brussel in Brussels, Belgium. He contributed to several national and European projects on ontology engineering. He served as a Director at Collibra NV. Mr. Christiaens holds a M.Sc. in Industrial Engineering from the Katholieke Hogeschool Gent (KiHo); a M.Sc. in Artificial Intelligence from the Katholieke Universiteit Leuven; a degree in Project Management (PMI) from the European University College; and a Postgraduate in Industrial Corporate Governance at the European University College.